Kershaw Dune Tanto Point Neck Knife | BUDK.com - Knives & Swords At The Lowest Prices! 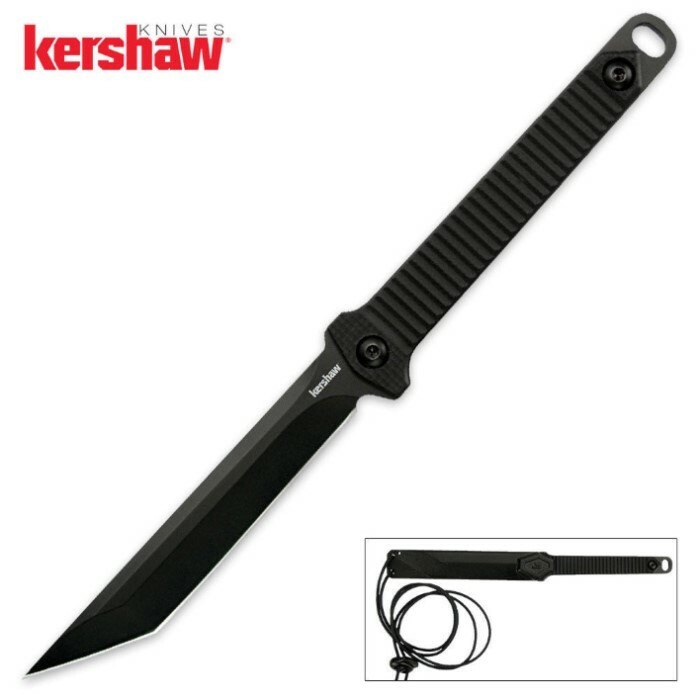 Kershaw takes the neck knife up a notch with this all new Dune tanto point oversized neck knife. The 3.8" stainless steel blade has a sharp edge and piercing tanto point, featuring a heat-treated black finish. The sharp blade is both discreet and highly effected as an everyday carry personal defense item. The full-tang Dune neck knife features glass-filled nylon scales for a secure grip that doesn't add unnecessary weight to the design. A custom molded sheath is included, and the blade snaps securely into place in the sheath for safe carrying. A neck lanyard is included.